The Dannon Project is a 501(c)(3) non-profit organization that helps unemployed or underemployed at-risk youth and non-violent returning citizens reentering society. The Dannon Project envisions a community where returning citizens and at-risk youth have the tools and support needed to become law-abiding productive citizens who participate in building healthy and safe communities. We provide supportive services that include short term training, certifications, job placement, and re-entry case management services to repair, restore, and renew the lives of our participants. Our intensive case management system and extensive referral network allow us to begin working with incarcerated persons six months prior to release. 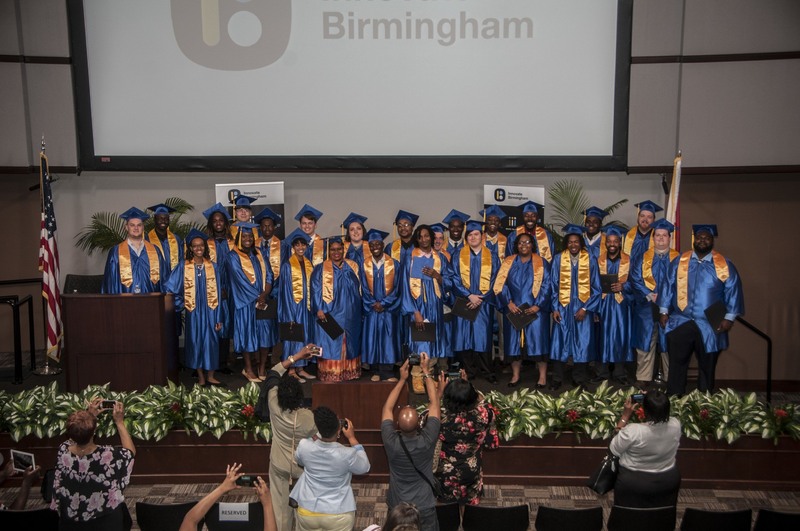 Our goal for effective prisoner reentry services is to interrupt the cycle of recidivism and help people successfully return to and remain in communities in Alabama and South Carolina. We not only restore their lives but, the lives of their families too giving everyone a second chance for achieving life success. We also work to ensure communities are prepared to support returning citizens with housing, jobs, medical services, and positive social connections. We work with different industries to help each participant attain and keep a job that aligns with their interest and skill set. Our estimated job retention rate for program participants two years post-graduation is 96 percent! For Executive Director Kerri Pruitt, life is about second chances. After the untimely death of her brother-in-law Dannon, who was killed by a recently released prisoner, Kerri was compelled to create a re-entry program for returning citizens. The Dannon Project helps these individuals assimilate into their communities and gives them a second chance at becoming productive citizens. Join us as we host our second Annual Golf Invitational Tuesday, August 21, 2018, at 8:00 a.m. at Pine Tree Country Club. TDP would like to introduce to you our NEW Green Ribbon Campaign! We hope by promoting our green ribbon campaign that it will raise awareness about the issues that previously incarcerated persons (PIP) face when reentering communities across America. Your support is needed to make this campaign a success. Our Youth Careers Training Program "Dannon Star" is Ms. Leah Craig. Leah has achieved a great deal within the past 4 months and we are very proud of her commitment to set her goals high and see herself reaching them. Our DOLETA Reentry Program "Dannon Star" is Mr. Corneilus Spelton. He enrolled into our RExO4 program on January 18, 2012. He enrolled in our Success Lab the following week and began Career Readiness classes. “I made my mind up before I left prison that I would do everything I needed to do to keep from ever returning to prison.” Duane Jennings said in an interview with the reentry coordinator. Shop AmazonSmile and the AmazonSmile Foundation will donate 0.5% of eligible product purchases to the Dannon Project once you select us as your charitable organization of choice. 715 Martin Luther King Dr.